Exercises and Braces for Kyphosis – Are They Effective Treatments? 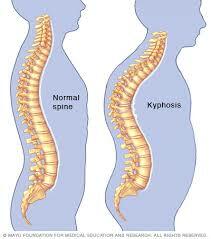 Kyphosis is defined as a spinal curve, and everyone has a slight natural curve to the spine. In some instances due to trauma, genes, or poor posture, people can develop a dramatic curve in the thoracic spine which is near the top of your spine by the neck. If the curve exceeds more than 40 degrees, one will be diagnosed with Kyphosis and may be referred to as having a spinal deformity. There are 3 distinguishable types of Kyphosis that can all be treated if not completely reversed. Postural Kyphosis is directly related to poor posture. Postural Kyphosis occurs after years of hunching over a work space, sitting at a desk and slouching, or standing for a period of time with your upper back curved inward. 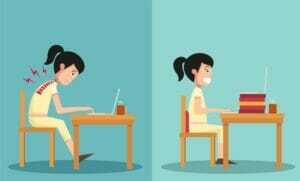 Many people are guilty of having poor posture because they are too busy working on a task instead of being reminded that they are slouching or hunching over. Postural Kyphosis can be reversed by simply practicing good posture habits. There are several daily exercises that can be performed in order to strengthen your spine and core so that when you sit or stand, you keep good posture throughout the day. Another aid to correcting postural kyphosis is purchasing a posture brace. There are dozens of options to choose from on the market that simply train your back muscles to stay upright and aligned and deter against slouching. 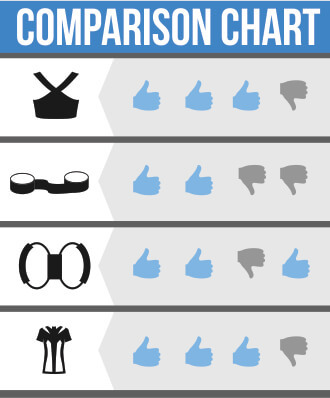 I have personally tested dozens of them and recommend a handful of effective posture braces. Postural Kyphosis is not easily detected through xrays or an MRI because there is no abnormal evidence from these tests that will show Kyphosis. 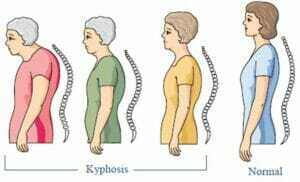 When one lays completely flat, the postural kyphosis is untraceable, but when you stand back up, you will notice the curve near the neck which appears as a “humpback” stance. Scheuermann’s Kyphosis is also referred to as Scheuermann’s disease. The actual cause of this specific type of kyphosis is still being studied by doctors today. Many believe that it begins as a birth defect when there is a lack of blood supply to the cartilage in the spine. The lack of blood flow cuts off nourishing properties and the cartilage around the spine actually dies, causing the spine to collapse and thus creating the dramatic thoracic curve that can range upwards of 75 degrees. Congenital Kyphosis is typically inherited and is an active gene that can be passed down from generation to generation. Congenital Kyphosis is more severe and can be life altering, as it can cause complete paralysis of the lower body if it goes untreated. This occurs when the spine is bent so dramatically that it starts to impact the nerves in your body that control movement from the waist down. Surgery is usually performed on patients with congenital kyphosis, however it’s not always the case. Therapy and learned exercises can also be performed in order to treat congenital kyphosis, but this form of treatment is usually heavily monitored by a doctor or specialist. How do you get Kyphosis? Postural Kyphosis, which is the most common type of Kyphosis in the United States is directly associated to poor posture. It’s importatnt to contstantly be aware of your stance throughout the day and remind yourself to keep your shoulders back and your spine straight, no matter what task you are doing. Osteoporosis has recently been attributed as the leading cause of Congenital Kyphosis by far. This is commonly seen in women, since they are more susceptible to bone density loss or osteoporosis. When the bones become brittle, your spinal discs are more at risk of collapsing or crumbling, causing the curvature of the spine. Arthritis is another possible cause of Kyphosis, as the joints and ligaments can become inflamed and trigure the curvature of the upper spine. Certain bone or spinal infections from recent surgeries or diseases may also be the cause of Kyphosis. If this is the case, physical therapy or surgery may be the only solution to treating Kyphosis. 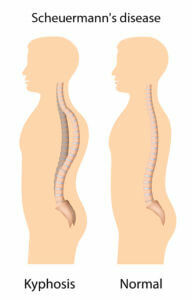 The most noticeably sign of Kyphosis is the humpback shape of your upper back. To give you a familiar example of what the humpback shape is, you can remember back to the famous story and movie, “The Humpback of Notre Dame”. Some people experience a severe humpback and their neck and head droop forward quite dramatically. Others are not as noticeable but you can still see a “C” shape near the neck and shoulder area of the upper back. Like the humpback appearance, practicing poor posture habits like slouching over a desk or work space is another noticeable sign of kyphosis. Just because you see someone hunched over does not necessarily mean they suffer from kyphosis, but there is a good chance they could develop postural kyphosis in the future. Like mentioned above earlier, there are several treatment options for all of the different types of Kyphosis. Treatments can range from simple daily exercises and stretches to complex spinal surgeries. It’s always wise to consult your physician or a chiropractor if you are experiencing any symptoms listed above. Even if you have normal back pain from over exerting yourself and do not actually have kyphosis, it’s better to consult with your doctor to have the peace of mind. Physical therapy may be recommended for you based on the severity of the kyphosis. The therapy may include at home stretches and exercises, or you may be asked to attend regular sessions outside of the home. UCLA has a great resource for postural exercises. These can be done daily or as needed during the week. Since postural kyphosis can be completely reversed by simply improving your posture, you may want to seriously consider buying a posture brace. 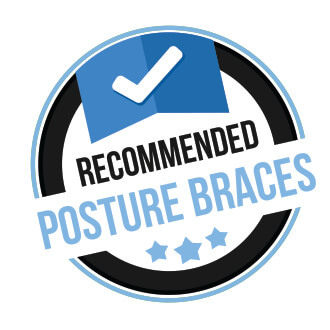 The braces are not an instant fix, however after several weeks of repeated wear, your back muscles will be trained to practice good posture habits again. If you have congenital Scheuermann’s kyphosis, some doctors may presribe pain medicine until a more permanent solution such as surgery can occur. In some severe kyphosis cases, surgery can be performed to diminish the C curve at the lower back. This can be performed on young children or on older adults but all depends on the severity of the kyphosis at hand. In conclusion, Kyphosis can be treated so it does not completely disrupt your daily tasks. 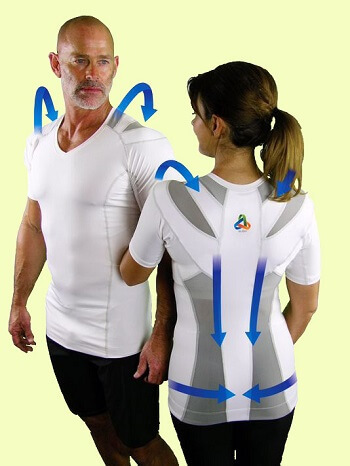 Typically, a posture trainer or posture brace is an effective form of treatment that most doctors and chiropractors will recommend. Always work with your physician before making any decisions regarding a treatment plan for kyphosis. Previous post: Lordosis Posture – What is Lordosis and Can it Be Corrected?